A new meditation class of 2017. Meditation is simply a way to guide you to concentrate on one attention so you can face the struggle of life more easily. A mind body spirit approach was implemented to achieve happiness life. The class open every Sunday morning from 9-11 am at Belimbing Street No 11, Denpasar. Dissemination and understanding of relaxation meditation applied in everyday life received a good response not only from communities in Bali, but also from those outside of Bali and abroad. Some asked if they could use the relaxation meditation method either in their workshop or training in related fields in which they engage. Professor Luh Ketut Suryani often said, “Please, anyone can use my method after they understand it. The important thing is to declare the original sources of the method. Not to idolize someone, but to make us proud as a nation of Indonesia”. The bio-psycho-spiritual–socio-cultural approach meaning each individual consists of physical, mental, and spirit that in physical growth and mental development are affected by their socio-cultural surroundings, she add during her teaching. 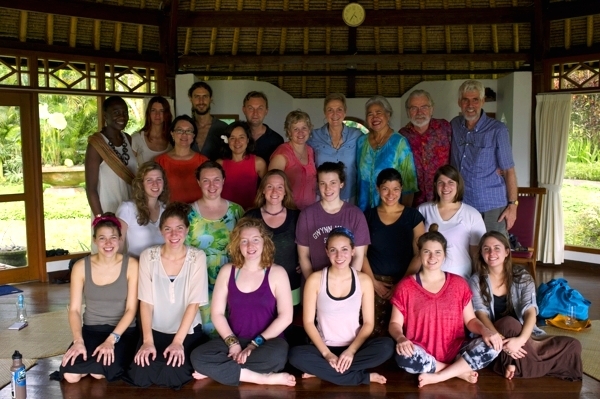 Thirteen students from University of Vermont, USA flew to Bali to learn about Consciousness, Culture, and Community in Bali. The participants were graduate & undergraduate students, professionals, and other individuals interested in a transformative travel opportunity lead by David Osgood Ed.D, M.P.H, and Carla Osgood, EdD. The course provided opportunities to develop intercultural communication skills including cultural awareness, cultural adaptation, cultural empathy and non-evaluative listening. In addition students had opportunities to develop skills in the domain of consciousness or transcultural communication. 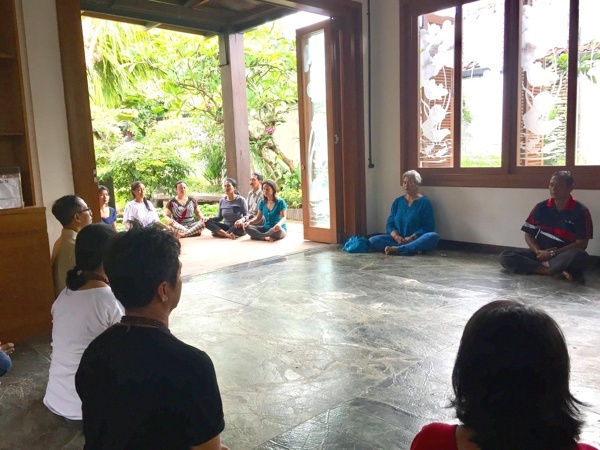 “Our students were honor to have the opportunity learning from a Balinese psychiatrist, healer, and activist, Prof. Luh Ketut Suryani with her rich experience combining both traditional and contemporary approaches to what she calls bio-psycho-spirit-socio-cultural well being”, said Dr Osgood during the time in Nirarta sanctuary. “I am happy that western people willing to learn about my culture, but in the same time I feel sad that my own people start to forget their own culture”, said Professor Suryani after share her wisdom and knowledge on spirituality. More and more western people come to Bali teach yoga and meditation as their business while the Balinese share their knowledge with heart without thinking any profit. Life is balance and harmony in Bali, but for how long this balance can still be in balance? Many visitors to Bali have found the way of life there remarkably cohesive. A network of close social relationships, binding individuals to their extended family and the families to each other, have meant there has been very little of the crime, prostitution, gratuitous violence, drug abuse, or crippling poverty that plague even the most affluent societies in modern times. Now, the society faces rapid modernization, with considerable dislocation of individuals and families from the land to the cities. Immigration from other Indonesian islands brings in people with alien traditions and religions, undermining the cohesiveness of the Balinese culture and society. “I believe that the strength and vitality of a healthy society depend, not on the surface behaviours of people, but on the depth of connection that they have to themselves. From there, the customs and traditions appropriate to a people and a place evolve”. said Professor Luh Ketut Suryani as she opened the training for 280s people who willing to devote themselves for humanity and harmony at Wantilan DPRD Bali, Renon. “There are many people from outside trying to sell their meditation method in Bali by fooling our people that Balinese has no meditation technique, and that’s wrong”, add Professor Suryani trying to make the Balinese grounded with their own culture. Meditation is not a business but something that people should spread for humanity and peace. “How can you feel peace when you start counting how much money that you can earn from tricking other people?’, said Professor Suryani in the end of the program as she believed that her movement will help to maintain the balance and harmony in the island of Bali. Meditation has been attracted many people. Most of them want to learn and experience the peaceful mind as the result of meditation. There are dozens or more specific styles of meditation practice. People may mean different things when they use the word, ‘meditation’. Meditation has been practiced since antiquity as a component of numerous religious traditions, especially, in Western countries, in monastic settings. In the Eastern spiritual traditions such as Hinduism and Buddhism, meditation is more commonly a practice engaged in by many if not most believers. 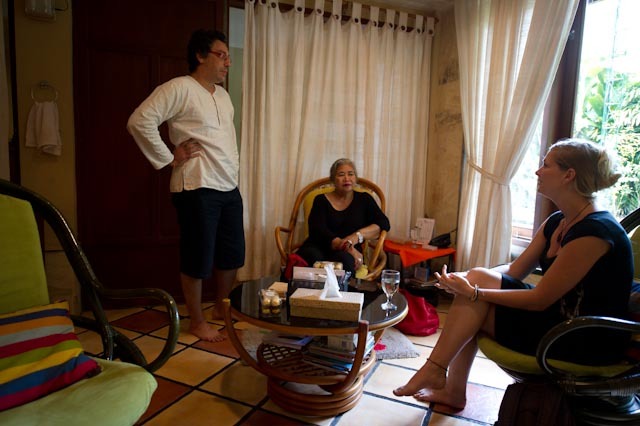 “The reason that we contacted you was of course no coincidence, since you are the expert on meditation in Indonesia. It is therefore an honor that you are prepared to supervised our master student in researching meditation”, said Dr Cor Van Halen as the Coordinator Domain Behavior, Department of Social and Cultural Psychology, Radboud Universiteit Nijmegen, The Netherland to Professor Luh Ketut Suryani as the Principal of Suryani Institute. Copyright © Suryani Institute for Mental Health.